The German Lutheran congregation of Lilienthal came into being in 1898. A piece of ground was donated by D.Schütze to erect a church and lay out a cemetery. A chapel was inaugurated on the 1-Feb-1899. Initially it served as church and school. The pastor also being the teacher. A medium sized church, the Johannes Kirche, as shown in the picture, was built and taken into use 1926. The geo position of the church is: 29.3233°S 30.7033°E and 1004m, the cemetery is about 150m from the church. The school had to be closed some years ago due to declining numbers and the church is also not in use, but is still maintained. The congregation merged with those of New Hannover, Kirchdorf and Harburg . I like to mention two here: Anton Engelbrecht and Erol Stegen. Anton Engelbrecht was born 1905 on the farm Braunschweig in Northern Natal. 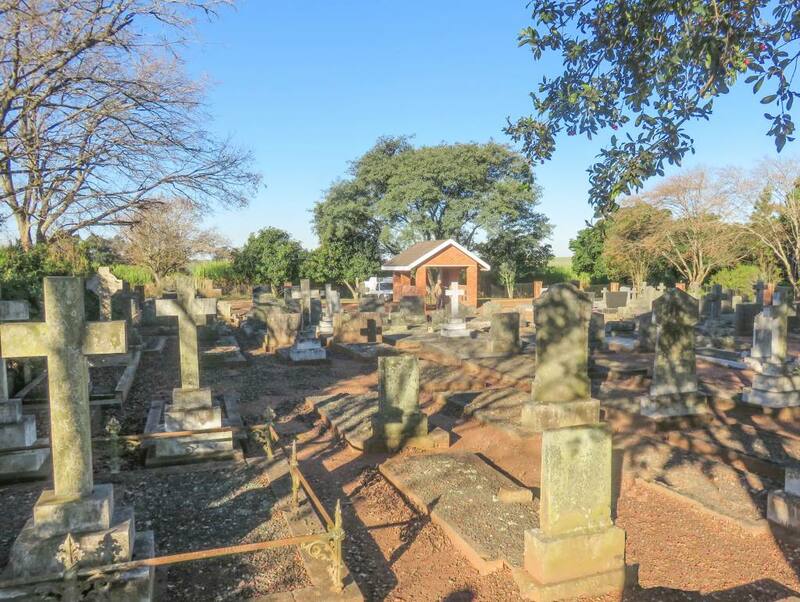 A descendant of a Hermannsburg missionary. He grew up in the German community and regularly attended church. It was during one of the sermons that he received a calling to become a missionary. 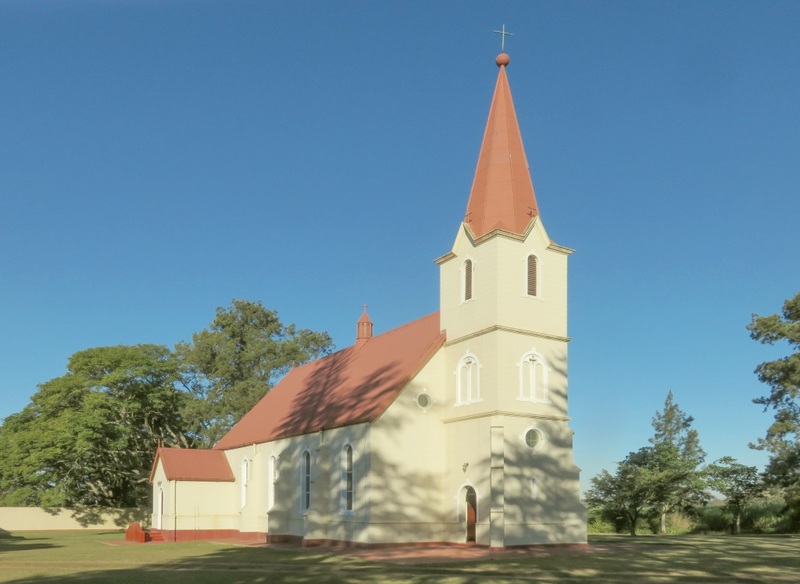 He attended the mission seminary at Hermannsburg in Germany from 1928 to 1934. On his return he did mission work in the Esibongweni area, that is between Vryheid and Melmoth. In 1946 he was appointed pastor in Lilienthal. To quote from Ref 2: As a preacher he turned radically against the conformity to the world in the congregation, which was enough to create many tensions. As a result of this, three years later he fell into a crisis once again, which led this time to his true conversion. He was counselled in this by an evangelist who was a family member. He now preached the gospel with new zeal, and nominal Christians fled to God in concern for their souls. The lives of many changed completely and families were reconciled. Opponents accused him of exaggerated piety, fanaticism and perfectionism. As a result of the criticism and resistance prompted by his preaching, he rejected church authority and in 1951 he left the Evangelical-Lutheran Church. After resigning from the Lutheran Church he set up a bible school in Pretoria and started tent evangelism in Zululand. Erlo Stegen was influenced by him during his time as pastor in Lilienthal to also become a missionary among the Zulus. Born in 1935, he grew up in in the Evangelical Lutheran church of Lilienthal. From 1952 to 53 he studied at the bible school of Anton Engelbrecht. Started tent evangelism and was part of the Engelbrecht organisation. Due to some friction developing between him and Engelbrecht he succeeded in taking over the organisation and side line Engelbrecht. This was the beginning of the KwaSizabantu mission, see the page on this website. Ref 1.: W.H.C.Hellberg, Die Deutschen Siedlungen in Süd Afrika seit der Mitte des neunzehnten Jahrhunderts, a dissertation to obtain a PhD in literature at the university of Stellenbosch, 1954. A scanned copy is available on the Internet, use author and title as the search term. Ref 2.: Albert Pilon, Is this a genuine rivival, chapter 1 with the title: The Kwasizabantu Revival compared with revivals from which it emerged contains the references to A.Engelbrecht and E.Stegen. Use the chapter title as a search term to get to it.